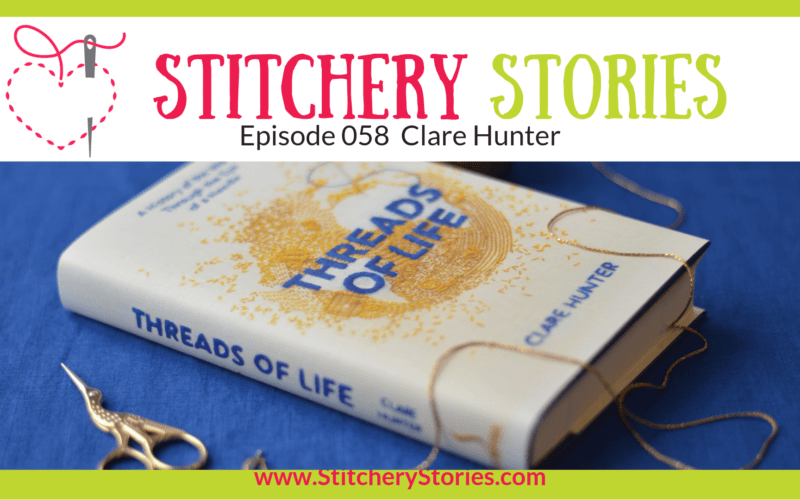 Clare Hunter: Banner Maker Writing The Threads Of Life. Clare chats with Susan Weeks in this episode of the Stitchery Stories textile art podcast. 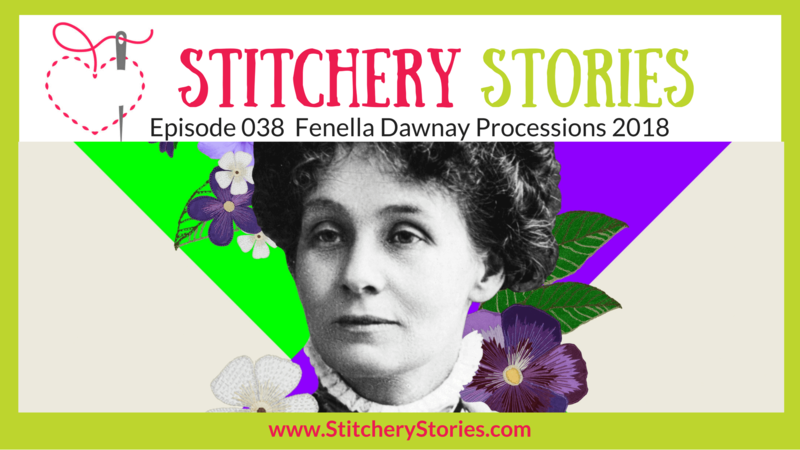 Fenella Dawnay is our guest today on the Stitchery Stories textile art podcast. Our episode is rather different than usual in that Fenella is NOT a textile artist! This episode is all about Processions 2018 a mass participation artwork celebrating the centenary of (some) British women gaining the right to vote. It takes places across 4 locations in the UK on 10th June, 2018. We talk about that and in particular the 100 Years 100 Banners project. These 100 banners are being created for the event with 100 arts organisations and women’s groups. Textile artists have been involved with the banner making groups.